A candidate's eligibility to take the exam is determined through an application process. 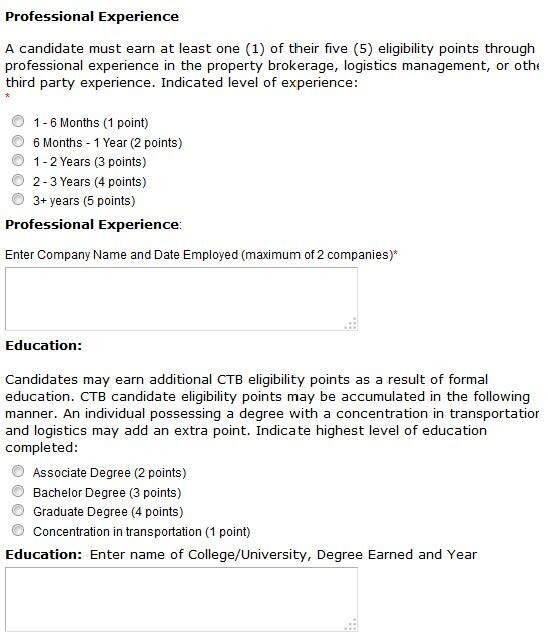 Applicants must earn at least five (5) CTB Candidate Eligibility Points to qualify for the examination. Points are earned through a combination of professional and educational experience.